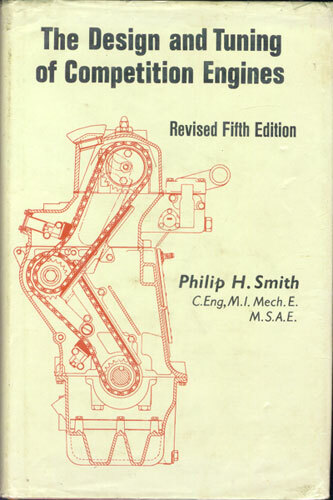 Philip H. Smith wrote this analysis of design elements of competition engines in the 1950s, first published in March of 1954. It was revised and reprinted many times over the years, with chapters and charts added each time. This 468-page, 6 inch x 9 inch hardbound, "Revised Fifth Edition", ISBN 0 8376 0138 X, published in 1971 by Robert Bentley Inc. 872 Massachusetts Avenue, Cambridge, Massachusetts 02139, includes a chapter on "The Ford Cortina GT and Cortina Lotus" engine. It is complete with line drawings and black and white photographs, and describes the development and specifications of the 1500GT pushrod-engine and 1600GT crossflow engines of the Cortina GT cars, and the twin-cam engine of the Cortina Lotus. At the end of the chapter, the BDA 16-valve "...productionized version of the Cosworth FVA engine..." is briefly described. Editions earlier than this 1971 "Revised Fifth Edition" do not have the chapter on the Cortina Lotus engine. Subsequent re-prints do. No longer published, it is only available on the used market.